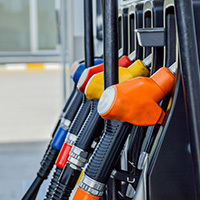 Fleet cards are a type of card that allows individuals in a fleet to make purchases for their vehicles, such as for fuel and required maintenance. Fleet cards are used by any agency that has a fleet of vehicles that are on the road most of the time — trucking companies, commercial bus companies, delivery companies. This helps keep the drivers on the road and eliminates most of the frustrations related to other forms of payment. Fleet cards are owned and maintained by the fleet owner and used by the drivers. Fleet cards offer optimal convenience and security to both parties. Fleet cards work similar to business credit cards and are a way for employees to pay for fuel and services on the road while allowing the business owner to monitor price, the frequency of fill-ups and, maintain control over spending. Although fleet cards are similar to credit cards, this is mostly true at the user end when your employees swipe the card at the point of sale. On the business end, fleet cards differ from credit cards in that there is more control, the ability to have e-receipts and create custom reports to track spending. Fleet cards allow a business to enable their drivers to purchase fuel and maintenance within a designated network of authorized merchants while providing details for each transaction. This saves an incredible amount of time and money and there is no need for employees to retain and turn in receipts for someone else to review later. It also eliminates the hassle of having employees use a personal card and submit for reimbursement, or carrying large amounts of petty cash. 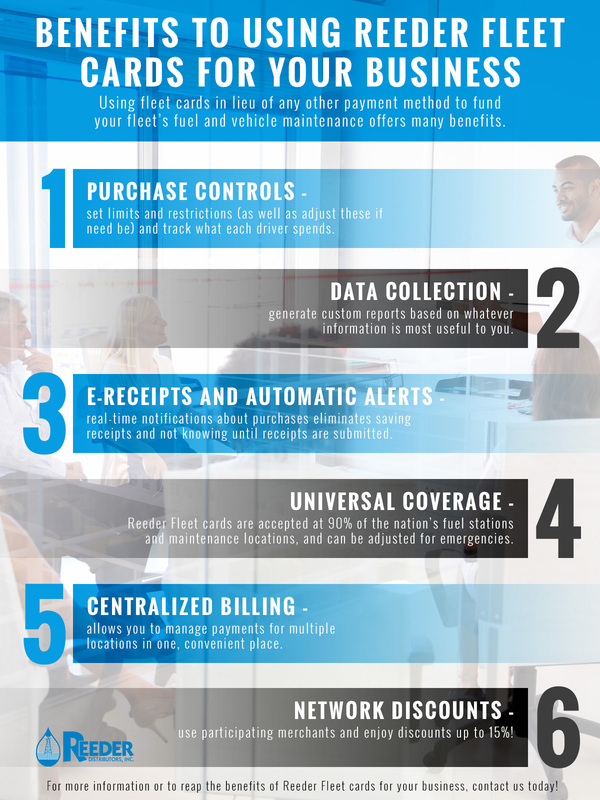 One of the biggest benefits and more popular features of fleet cards is the ability to for a business to make purchase controls. This allows both you as the business owner and your employees as the end users to safely make secure purchases at preapproved places. For the business owner, this also allows restricting which merchants are used to help save money as well as requiring users to enter a pin number to track individual employee expense habits. 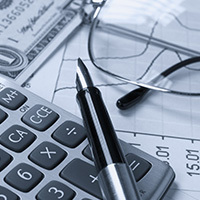 This allows you to adjust budgets quicker and notice trends in real time. Fleet cards are able to be used by more than 90 percent of the nation’s fuel and vehicle maintenance providers, which makes them very convenient for both you as the business owner as well as your drivers on the road. Having preferred vendor fleet card relationships with some merchants allows up to a 15 percent savings. 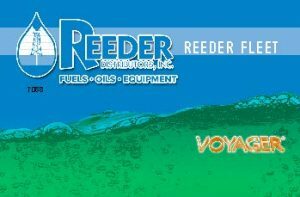 Reeder Fleet cards are accepted at over 230,000 fuel and maintenance locations nationwide. This universal coverage means that your drivers don’t have to worry about finding a station that accepts the card or going out of the way to use the card. Another great feature of fleet cards is the ability to generate custom reports. This is a really handy feature when budgeting for specific routes or tallying the spending on specific expenses to search for better solutions. Reports can be run based on any information you find useful and can be used for planning and budgeting, without digging through piles of receipts. Reports can include real-time information, meaning what your drivers just purchased can be included, no more waiting until the end of the month. This allows you to analyze and track purchases instantly. Fleet cards offer business owners better ways to authorize purchases and access up-to-date account information. These features help eliminate waste and fraudulent spending that can easily cost companies hundreds of thousands of dollars each year. On the business end, you can manage or update purchase options or authorizations as needed, for example: to add an approved vendor or increase the spending limit in case of emergency, all with a few clicks. Easily cancel a card, change driver information, or add driver’s credentials without hassle. Fleet cards are a great way to protect your business and your employees. Experience the freedom and control to make your fleet more efficient and cost-friendly. For more information or to enroll in our fleet card services today, contact Reeder Distributors now!